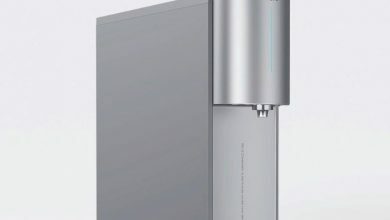 The Chinese tech company Xiaomi is presenting an effective solution to save water in our homes, offices, and anywhere we have taps etc. 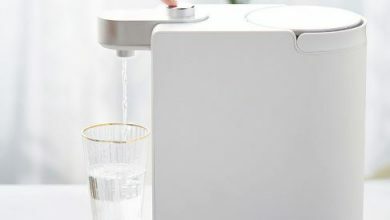 The Xiaomi water saving device is mainly designed to accomplish the purpose of water savings by using it over the taps. Buy the new Xiaomi Induction Water Saving now available for just $27.70 Gearbest. 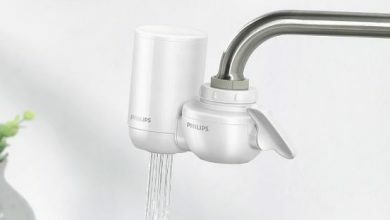 White-coloured water saving device is equipped with chargeable battery via USB port. Further, it can easily be put on all sorts of water sources to control the water flows in a practical way. 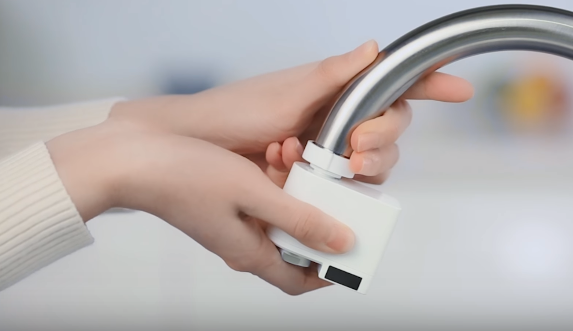 The sensors are playing a crucial role to help you wash your hands, fruits, or any other objects, without turning the nap on. 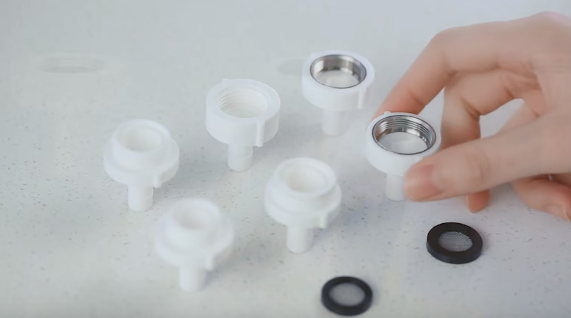 Moreover, the Xiaomi has fixed a reasonable price for this very useful product helping out in our water saving campaigns. The Induction water saving device is actively smart and intelligent to the purpose we use for. 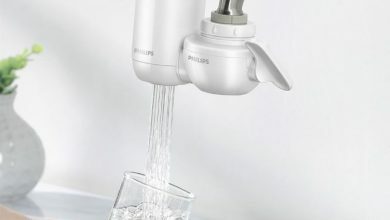 The sensor detects the objects intelligently and starts the water flowing out. Similarly, it can detect the objects within a sphere of 10 centimeters. 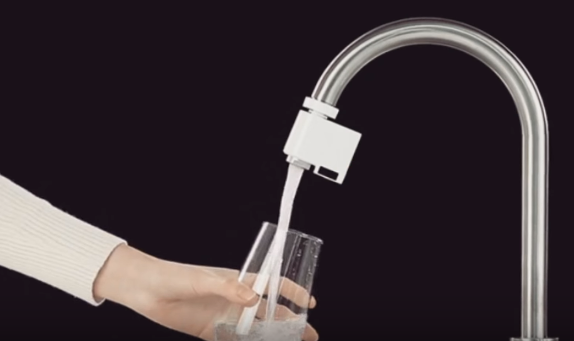 As when as you take the object away, it will stop the water flow instantly. 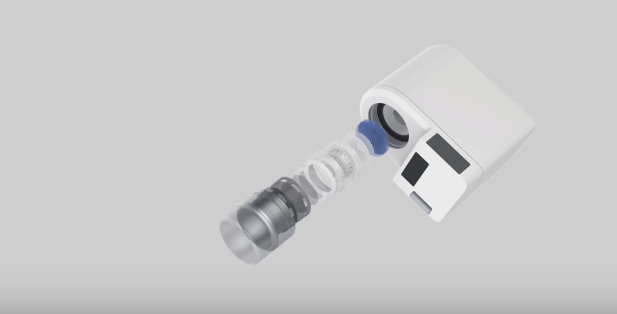 The side sensors can detect the objects in a range of 0-5 cm whereas bottom sensors have a range of 10 cm. Xiaomi Induction Water Saving Device uses infrared technology base to provide you with immediate water flow all the time. 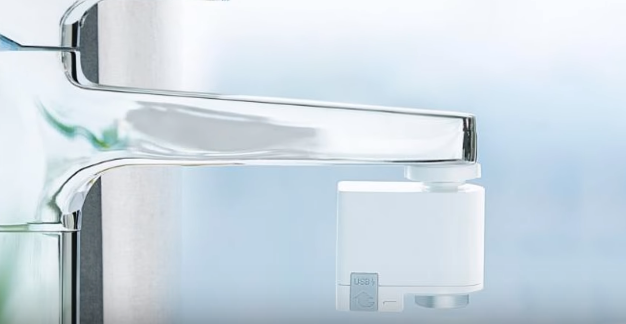 You never need to touch the faucet manually. Infrared creativity makes it feasible to get a sufficient amount of water that you need. The power battery runs for not days but months. It takes around 3 hours to be charged fully to provide you with a service span of around 6 months. That’s a great period for a battery which makes it useful. 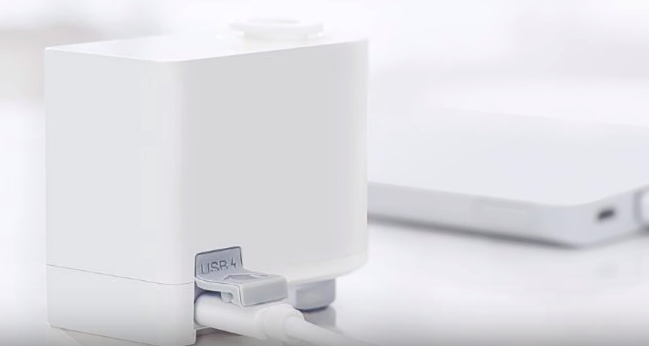 Moreover, the USB charging port is there to make it easy and smooth charging plugin. It uses input and output voltage of AC90~250V. 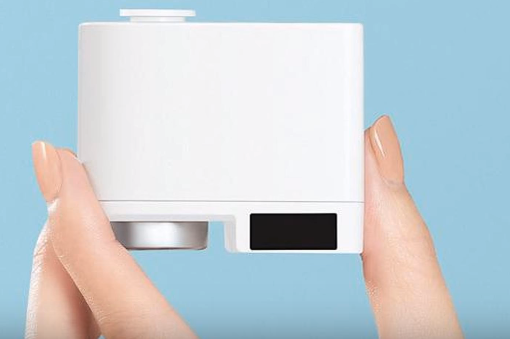 The Xiaomi Induction water saving device is looking gracefully in White + Grey color along with compact size. The design of the plastic body product is stylish and preferred by most of the viewers. Further, it weighs only at 100 g with physical dimensions of 5.80×3.30×4.80 cm. You can easily switch to alternative modes like scheduling, times is there along with Away Mode. It is also capable of voice recognition features.